Healthcare is rapidly changing from fee-for-service to pay-for-performance and risk adjusted payment. CDI can no longer afford to focus solely on its original inpatient model when care is increasingly delivered in outpatient settings and services, or tied to bundled payment methodologies, mandatory CMS quality programs, and Hierarchical Condition Categories (HCCs). This one-of-a-kind pre-conference at the ACDIS National Conference takes a deep dive into CDI’s role across the care continuum, as well as risk adjusted payment methodologies and CMS quality programs including Hospital Value Based Purchasing, the Hospital Readmissions Reduction Program, Bundled Payments for Care Improvement-Advanced, and the Hospital Acquired Condition Reduction Program. This two-day session covers far more than just theory: Expert presenters review concrete ways in which CDI specialists can make an impact, including must-know coding guidelines and how to implement a risk adjustment approach to your existing CDI department. This program concludes with a case study of Mayo Clinic, presented by Dr. James Manz, who will walk attendees through the implementation of a risk-adjusted CDI program throughout the system’s hospitals and provider clinics. Implementation and staffing strategies, as well as metrics, lessons learned, and the system’s ongoing progress, will be covered. What does ‘success’ look like? How do you measure it? Cheryl Ericson, MS, RN, CCDS, CDIP, is the manager of clinical documentation services at DHG Healthcare in Charleston, South Carolina. The program at DHG expands out of MS-DRG assignment into quality concerns. Their focus on clinical clarity and complete diagnosis coding prepares clinical documentation improvement (CDI) programs for accurate outcomes measurements and reimbursements under all payment models. Ericson is a CDI subject matter expert for a variety of industry publications and associations and keeps regular speaking engagements. Additionally, Ericson currently serves on the CCDS certification committee for the Association of Clinical Documentation Specialists (ACDIS) and is a former ACDIS advisory board member. Shannon E. McCall, RHIA, CCS, CCS-P, CPC, CEMC, CRC, CCDS, HCS-D is the director of HIM and coding for HCPro. She oversees all of the Certified Coder Boot Camp programs. 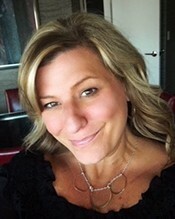 McCall was the original developer of the Certified Coder Boot Camp®—Inpatient Version and the Evaluation and Management Boot Camp; most recently, she collaborated with the CDI team to develop the Risk Adjustment Documentation and Coding Boot Camp®. McCall works with hospitals, medical practices, and other healthcare providers on a wide range of coding-related custom education sessions. 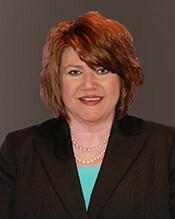 Michelle M. Wieczorek, RHIT, RN, CPHQ, is Senior Manager of DHG Healthcare. 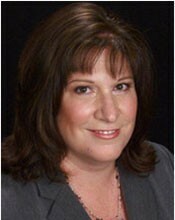 She combines 30 years of healthcare knowledge as a clinician, with subject matter expertise in CDI, HIM, and clinical quality in her role as leader of Clinical Documentation Integrity Services at DHG Healthcare. Michelle has served in leadership roles in Critical Care Nursing, Health Information Management, Utilization Review, Clinical Quality, and Information Technology and has practiced in acute, outpatient and managed care settings. She has extensive experience in software development and IT product management, including holding a US patent in Natural Language Processing clinical rules logic as a result of her work in developing a CDI software program with a national IT vendor. 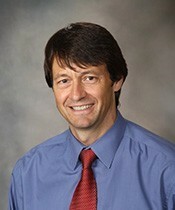 James Manz, MD, is a consultant in spine and neurological surgery with the Mayo Clinic Health system NWWI. He services as Physician Chair of the Mayo Enterprise Outpatient CDI Subcommittee, Physician Vice Chair for the Mayo Enterprise Inpatient CDI Subcommittee, and Physician Advisor of the Mayo Clinic Problem List Stewardship Committee.